way to go kixeye..last raid my sky's were able to do at least 2 60's set and now it's lucky to do 1 1/2..
Wow, only two phals on that scatter fleet. I wonder how well they do in 104/106. dunno. i'm still running 1h30m damage with my scatter fleet in 104s without crew. i'd like to do better. but my scatter fleet leaves a sliver of health on the small ships, so they get an extra volley off on me before i destroy them. 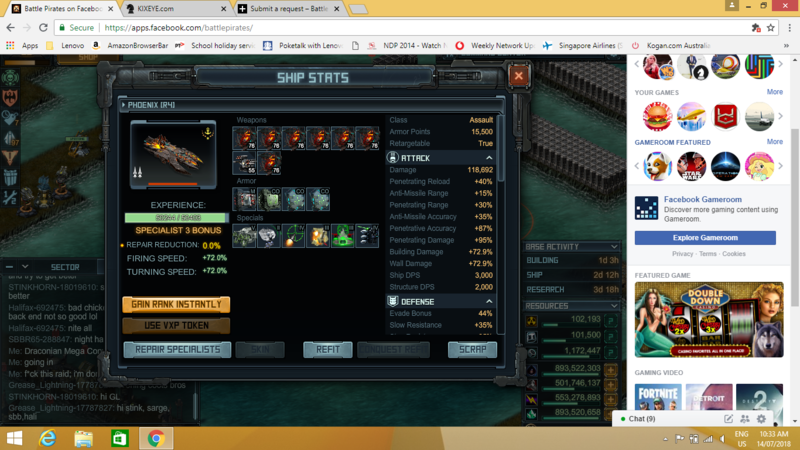 so a little extra damage from my fleet should improve it by removing that extra hit i'm taking. i might try that special on only one ship. bort if your talking about MDS3 I've done 2 boats now and saw little difference, with all this missle anti for no explainable reason the Turret missiles still get through. I sort of believe they are programmed to get through. Always willing to try something, but used two tokens and some coins. That's pretty much enough on that one. no, i meant using carbon fibre casing on one of my scatter ships. seemed like an interesting choice. Have any of you put the darkwing on, i have full scatter build, carbon casing seems like a good idea, just wondered about DW? Yes 3 DW here and it brought my damage down significantly last raid. I'm not refitting them off to find out if that has changed lol. Manticore Blueprint Costs 50% Less Points in the Supremacy Event! Collect it now! mine is still at 10mil points no 50% of ? Manticore was 20mil last month. Not sure where in my post where you read I was making excuses. The FACT is, the raids nowadays alienates low level players, whereas in the past, everyone was able to be a part of them and they were an integral part of a player's development. This is the problem. I was looking forward to this one to gain new tech, as it was my first one after being gone for five years. I know how to work the game and build the fleets, that isn't the problem. You wouldn't need Phoenix's or Manticore's if they made the raids accessible to lower level players, that's the point. Did you check under "limited"? Here is a copy of a build I use, normally use this to hit the titanium targets during the week. I'm using missile mantis for the raid, but the options and missiles if you have them may help you further along. Refitting with the stinger missile if you have them helps out a lot, increases your damage, along with anything to increase combat speed and penetrating reload as your ships will fire quicker. Please add 1hr tokens. Pretty please. thanks for the 50 gold! Damage has been massively increased since the start of the raid - we're used to damage creeping up, but this is on a whole different level. No point in grinding out targets for a few hull specific tokens or some useless low level tech. Unless you can play 24/7 for free repairs, or coin big time, no point. And the new missile defense system doesn't seem to be any better than older tech. And the sector's dead as a doornail, usually at least a few players online for the raid. the raids arent really for new players, well haven't been for quite some time. there other other ways to get gear as gryffon stated. that is where you develop now, and have done so for a while, and even then you still get up to speed fairly quickly. the game has always been one of stepping stones. use them. Why Carbon Fiber Casing (designed for Missiles not Scatterguns)? The rest of the build seems good and straightforward. Helpful post for anyone wishing to build/refit a Scatter Manticore fleet. btw, my Panthera Scattergun Makara Manticore fleet (5 total ships, all skull ranked) is averaging about 5.5 hours total damage per 104-106 set. Unacceptably high, but due primarily to the longer range and unstoppable weapons that result in taking a lot of damage no matter how good your fleet is or how well you drive the fleet. Obviously damage=coining for Kixeye, nothing new there, but 5.5 hours for a fully ranked and outfitted fleet seems way too high. It is what it is, so I accept less coining and more time spent repairing and, ultimately, less points for the Raid. Because the Scatterguns also do Penetrative Damage as you can see in the Description and as you can also see on the build page. Not taking the Carbon Fiber Casing makes your DPS from 688k go to 496k. Meaning a huge loss in dps, resulting in more time killing targets thus taking more damage. I have just 3 manti - no flag - and I can manage a whole 106 without repairing - I think anybody with a decent build missile manti can knock up points on this raid - first time, i actually ran out of time in a 106 - it took that much patience! phoenix fleets can do 60 sets - like i ground out last raid -it takes seat time and yes the damage seems higher but this raid is doable without buying a manti fleet and coining a flag. i have teh greta inferno BP now and have access to locked prizes because i had got the other tier prizes through grinding last time. kix have faults but this raid is nowhere near as bad as some previous ones. Here is the missile-manti setup that I am using this raid, I average about 1 hour, 10 minutes repair over 6 convoys (the first is always the worst for repair, due to the crew). I am running about 13-14 coin repair for 3 T8 sets (about 4-4.5 coin per). I just slow repair as I don't have the time to hit more 3 sets at a go, got to spend time with the family. I tried a couple different variations (Had tokens from TLC) because I saw that the non-DW hull were take more damage, about double and tried to improve it. I think it is likely due to extra corrosive damage. - Swapped out Agility for Hyper30 (speed, Splash resistance boost), Hmm looked good on paper..... nope, this really surprised me too, the most damage yet....should have been the least or been an improvement since all the damage i take is splash based. - Swapped agility for pen damage boost or corrosive damage boost still more damage taken than the original configuration. With a major portion of the damage being corrosive won't bother with predator missile, it's not a speed issue. How about putting Greta tokens in the raid. Even 1 or 2 3 days would be nice. And probably wouldnt care if they were 5-7 million apiece. Kudos to Kixeye, they seem to have rolled back damage a little 6-7 coin w/o GM 3-4 coin per lvl 8 set with grease monkey. Now that's reasonable. Thank you for listening to us. Damage is inconsistent ...1 target little damage next target dead!!! 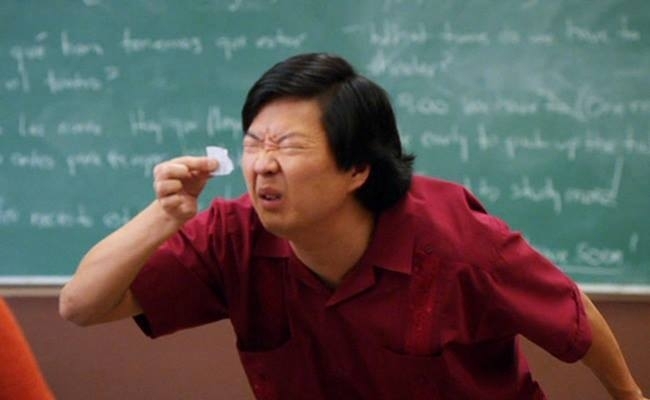 No one is on the forums complaining because no one is playing and no one cares. The participation every raid goes down, there are only 27 people in the sector with any points and about 10 of them have less than 1 mil as they just gave up. Many of the few that are playing just hit a target and go away while they do a slow repair.